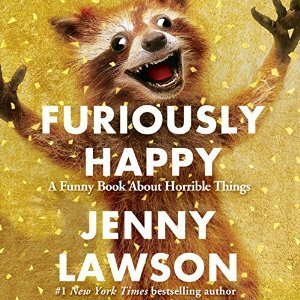 I have a feeling this will be one of those books that will grow in fondness the more that time passes, but as of right now, I'm feeling kind of "meh" about it. I liked the characters of Raymie, Beverly, and Louisiana, but something in the story felt lacking to me. Mo learns that imitation is the sincerest form of flattery. The story and illustrations made this book feel like a book that was published 50 years ago instead of 4 years ago. The retro feel was both joyful and hip. A wonderful book that not only explores all kinds of poetic forms, but also tells a story. 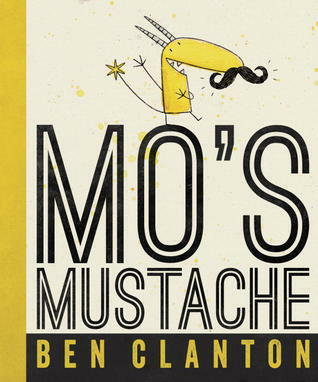 I'm adding this to my classroom library wishlist! I can't wait to read Salt to the Sea. I also loved the retro feel to How to Hide a Lion! Will find How To Hide a Lion, looks cute. I won The Poem That Will Not End a while ago, and you're right, it's very good, clever & helpful. Enjoy Salt To The Sea, really interesting story. 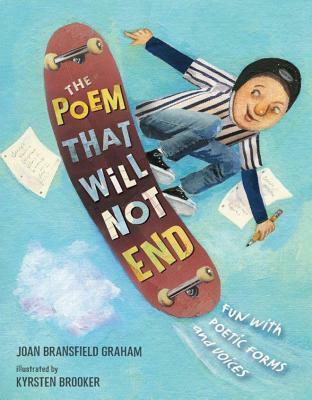 The Poem that will not end really looks promising - there are very few poetry picturebooks out there. 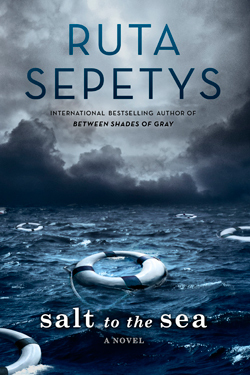 I have yet to read a Ruta Sepetys novel - maybe this year it will happen. 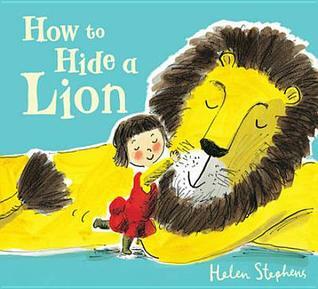 I'm looking forward to reading How to Hide a Lion. I see that there is also How to Hide a Lion from Grandma. 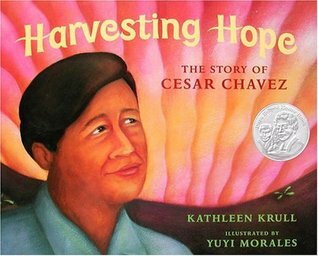 Harvesting Hope: The Story of Cesar Chavez sounds like a book I need to read as well. The Poem that Will Not End sounds like a lovely book! I am going to add it to my wishlist. :) I also want to get my hands on Harvesting Hope! You have so many good books here. I hope you have a wonderful week! I'm always looking for new poetry books. I'm excited to get a look at The Poem that Will Not End. 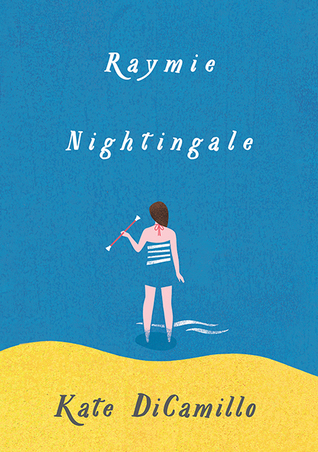 I am planning to read the new Kate DiCamillo in the next couple of weeks. I am very inclined to love it since it came direct from the publisher with a lovely jar of candy corn and a t-shirt. I generally like DiCamillo's books MUCH better when I read them aloud, but this one doesn't seem like a story my son would much like, so.... not sure what I'm going to do yet. Adding Poem That Will Not End to my wishlist too. Which means it will probably be winding its way to me soon!